Vinyl Boy is a VST plugin brings DJ scratching directly to your studio, with the advantage of precise midi treatment for the exact results you need. Open Vinyl Boy as an insert effect on the track that you want to scratch, and use your modulation wheel for the authentic feel and touch of vinyl scratching!Open Vinyl Boy as an insert effect on the audio track that you want to scratch, then send MIDI data to Vinyl Boy. That's it! Now you can use Vinyl Boy as your virtual turntable - just move your modulation wheel and scratch your audio track in real time. Convert your vinyl albums and cassette tapes to CD and MP3. 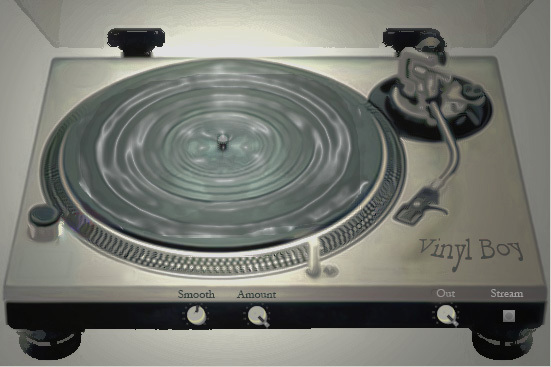 iZotope Vinyl makes MP3s sound 'old and bad' with Analog Vinyl simulation. Qweas is providing links to Vinyl Boy VST 1.09 as a courtesy, and makes no representations regarding Vinyl Boy VST or any other applications or any information related thereto. Any questions, complaints or claims regarding this application Vinyl Boy VST 1.09 must be directed to the appropriate software vendor. You may click the publisher link of Vinyl Boy VST on the top of this page to get more details about the vendor.